Visioneering Technologies (ASX:VTI), a US-based medical device company focused on developing advanced products for vision, has received TGA approval for its portfolio of NaturalVue (etafilcon A) brand one day contact lenses, including Sphere, Toric, Multifocal and Multifocal Toric. VTI’s CE Mark includes an indication for it NaturalVue Multifocal (NVMF) for myopia progression control (the control of progressive near-sightedness), allowing the company to market and sell the device in Australia. NVMF contact lenses feature VTI’s Neurofocus Optics Technology. It uses a patented extended depth-of-focus design to address known optical risk factors associated with myopia progression. According to the company, the NVMF lens design allows it to be used for both myopia progression control and presbyopia (the age-related loss of ability to see near objects). “The addition of NaturalVue Multifocal lenses to the portfolio of therapy options eye care professionals have for the management of myopia is a milestone in the treatment of this condition,” said Dr Kate Gifford, PhD, an optometrist, clinical researcher and peer educator. TGA approval allows VTI to commercialise its contact lens products in Australia, as well as prepare other Asia Pacific regulatory submissions to gain approval for commercial launch of its products in additional countries, including New Zealand, Hong Kong and Singapore, among others. “TGA’s approval of VTI NaturalVue contact lenses for inclusion on the ARTG represents an important milestone. 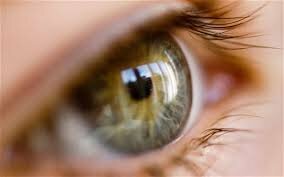 We are clearly very pleased to have received regulatory approval for the marketing and sale of our NaturalVue product line of daily disposable contact lenses with indications for both myopia progression control and presbyopia for the NaturalVue Multifocal lens design,” said Dr Stephen Snowdy, CEO and executive director.